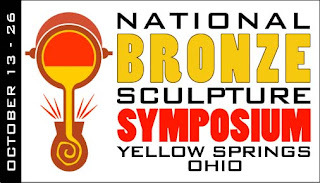 Four national and area artists will be invited to participate in a small abstract Bronze Sculpture Symposium that will take place October 13-26, 2013 on the campus of Antioch College. 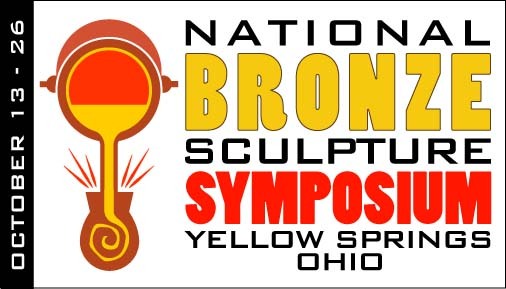 Featuring an ancient practice—bronze casting—dating back nearly 5,000 years, but rarely seen, the symposium will engage and educate community members, students, and visitors in Yellow Springs and the Greater Miami Valley. All will be invited to observe the artists at work, plus attend an evening series of related lectures and presentations that culminate in the pouring of molten bronze at a public event. Why bronze? Why now? Utilizing a very traditional medium, this symposium challenges artists to uniquely reimagine bronze in a modern discourse about its sculptural potential. An Advisory Selection Committee, comprised of national public art professionals, will review submitted design images, past work, and resumes. The committee hopes to commission three (3) artists: one (1) of the artists will be from the State of Ohio and two (2) artists will be selected from the remaining United States. In addition, invited artist Brian Maughan from Yellow Springs will participate. An open call process begins February 15 and close April 1, 2013 utilizing the website: www.callforentry.org. Each of the artists will create three (3) small abstract sculptures to be cast and installed on a Bronze Sculpture Trail – the first of its kind in the area – which will be promoted through print and Internet maps. In addition, one sculpture from each artist will be cast and auctioned as part of the project’s fund-raising plan. The Yellow Springs Arts Council (YSAC) has regularly worked with local artists in many disciplines, plus a variety of community partners, to create major village-wide arts and cultural events known as “Yellow Springs Experiences.” Committed area partners for the Symposium to date (in addition to the YSAC) include Antioch College, YS Chamber of Commerce, the Village of Yellow Springs, the Yellow Springs Schools and international sculptor Jon Barlow Hudson. Students from Dayton STEM Academy, Clark County’s Project Jericho and other schools and colleges are expected to participate.